I made 400 000 gold one Wednesday and I only did my normal routine by reposting my stock on my second account while I was raiding. You can see a sample from last Wednesday’s sales on the screenshot below. Demand and supply for most items vary throughout the week. I assume that all of you have noticed this trend as you are smart people. Some of these variations are random and hard to turn into actual insights. While some are very predictable as they are based on more or less constant external factors. These variations can be very different from item type to item type, and I will cover the main general ones in this post so you can take advantage of them. The most basic variation is the one that happens within any given day. Most people do not have time to play games all day because they work or are in school. So there are points during the day when there are many people online and times where there are fewer. It is very important to post your stock during prime time. Prime time is generally from about 17:00-23:00. This is when most people play and when most people raid. There are some variations within the 17-23 time frame for different items. For items that are used during raids the best time is obviously early in the evening. This includes food, flasks, potions, Tome of the Tranquil Mind etc. Anything that people might buy because they need it for the raid. The best period is usually from about 18-21 for these. For item enhancements the best period is later from about 21-24. The reason is obviously that people need these when they get upgrades. They will typically get enchants when they log off for the night after raiding or doing some evening dungeons. On most days this effect is not that pronounced, but on reset day it is very noticeable as the large majority of upgrades on reset day come from the newly reset raids. There are two general weekly patterns in how many people are online and what they are buying. The first is that tons of people are raiding on the day raids reset. 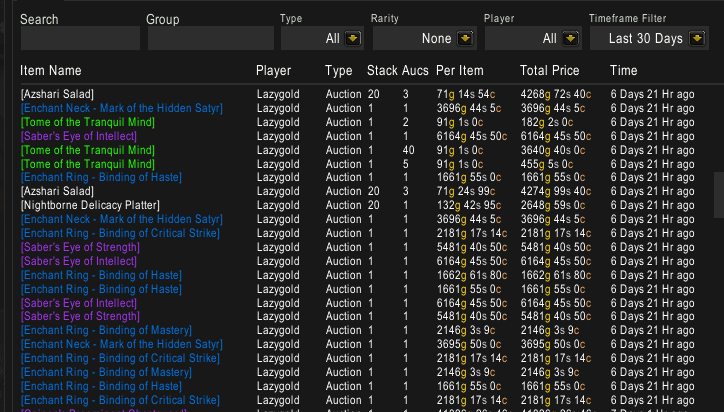 Selling raid related items on these days is incredibly important. It can easily make up 60-70% of your enchantment (jewelcrafting, cooking etc.) sales for the week, if you repost as much as you can in the 19-24 time slot. I sold about 3 times as many enchants last Wednesday as I did last Tuesday (Wednesday is reset day in EU), and for much higher prices. Critical Strike enchants went up by 500 gold per within 12 hours. As you can see from my gold graph below Wednesdays are were I make a large majority of my sales. The pattern is very cyclical for the last two weeks. Not surprising as I make a very large amount of money from enchants, gems and food that are in extremely high demand on reset day. The second thing that happens is that there are generally more people playing the game during the weekend. The effects from this are sort of hard to evaluate without more serious research on an item by item basis. There are however some general trends that can be extrapolated from my sales data and anecdotal experience. Generally materials are often cheaper as more people are farming and posting them. Sales of things like BoEs and luxury goods will often increase as the customer base is larger, but the relative supply is not impacted much as this market is usually dominated by more serious AH players. And considering you can post them for 48 hours at the time even the AFK ones will be participating on the sell side of the market. About half of my Jewelcrafting panther sales the last 30 days have come during the weekend, so you should definitely make sure your stock is posted over the weekend. Sell raid related items on Tuesday/Wednesday night. Look out for good deals during the weekend and make sure all your luxury stock is posted during the weekend. 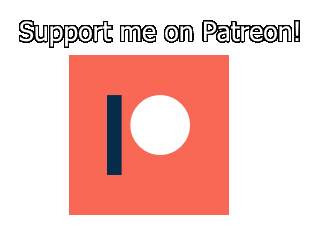 Make sure you are subscribed to my mailing list if you have not already done so to get my posts and updates delivered straight to your inbox. You can find the sign-up form to the right! 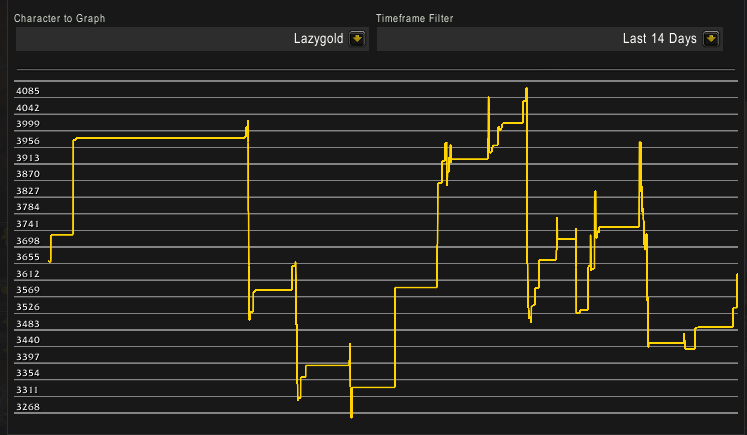 Some of you might have noticed that I added a page to the top titled Support the Lazy Goldmaker. 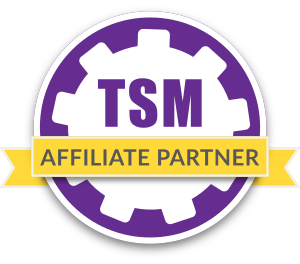 If you enjoy my content and want to support the site please consider doing so either through Paypal, by whitelisting thelazygoldmaker.com in your ad blocker (if applicable) or by purchasing your games on g2a.com with the code Lazygold (or by clicking the link) which will give you a 3% discount and me a small commission. If you don’t want to support me that’s obviously OK too. I suggest doing the least invasive methods first so don’t donate to me unless you can spare the money, but do consider turning ad block off.